If you have recently noticed that your HVAC system is performing poorly or that the air in your home dirty, you may need to have your air ducts cleaned. A regular cleaning will purify the air and keep your AC unit clear of dirt and dust buildup. If you are unsure if you need your air ducts cleaned, contact Dust Doctors today. 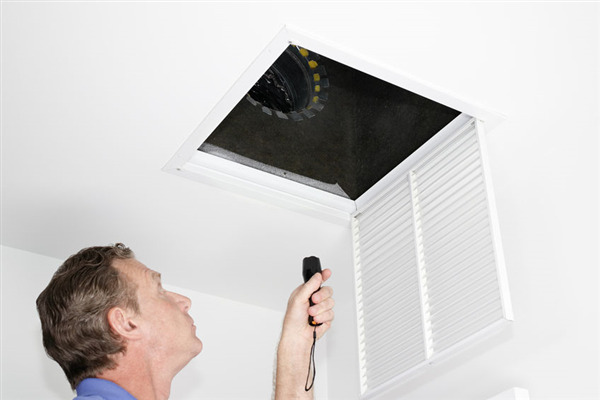 We can identify how dirty the air ducts are and clean out the entire system. We offer professional cleaning services for residential and commercial properties in the Minneapolis area. How Often Should You Have the Air Ducts Cleaned? According to the National Air Duct Cleaners Association (NADCA), you should have the air ducts cleaned every three to five years. If your HVAC system needs cleaning more than once a year, there may be a problem with the system that is allowing dirt to infiltrate the components. You should call a Dust Doctors expert to get the air system fixed, and forget about the cleaning! If you prefer an annual cleaning, you can prevent dirt buildup and keep the air ducts cleaned. What Causes Air Ducts to Get Dirty? There are several contributing factors that determine how dirty the duct systems will get. The climate in which you live may determine what type of substances clog your vents or build up in your ducts. When Should You Have the Ducts Professionally Cleaned? If you need your HVAC ductwork cleaned, contact Dust Doctors. We specialize in HVAC and duct cleaning, as well as air purification for residential and commercial properties in. Our service extends to home and business owners in Little Canada and the surrounding Twin Cities area. To schedule a cleaning, call us today at 651-319-9777.